Writing time travel takes someone who loves history, but can embrace fantasy. It’s reality-adjacent. It also helps if you were dropped on your head as a small child because you have to be crazy to want to do it. Of course, all writers have a certain baseline of crazy, but I think time travel writers have an added masochistic streak. Like their cousins, the historical fiction writer (I’m parsing out non-fiction, because they’re a completely different kind of crazy, amiright? ), the time travel writer has to love history and research. Love it so much you might actually own vintage pantaloons or civil war bandages. Love it so much last Halloween you went as Haile Selassie. Love it so much that if you ever met Thomas Alva Edison, you might sock him on the nose. You have to love it because you’ll spend the next few months (or years if you’re truly crazy) researching what the price of cotton was in 1852 Natchez (approximately $0.14/pound), or if someone would be drinking tomato juice in 1906 (sorry, no). You’ll probably watch videos of people putting on period underwear, start calling your friends dollface or have Cook’s luggage labels on your laptop case. Happily, I’m one of those loony people. I stay up late worrying about anachronisms. I love knowing all of that stuff. I love knowing what people wore, the slang, modes of travel, politics, weapons, food, currency, pop culture, and all of the rest of it. Mail Order Catalogues – It’s not always possible to find them, even repros, but if you can, nothing beats a good Sears & Roebuck for great period detail. Diaries & Letters – What could be better than reading about people from a specific period in their own words? Travel Guides – I recently came across a 1910 Baedeker’s guide for my current book and it’s gold, I tell you, gold! YouTube & Google Maps Street View – From how to properly load and fire a musket to how to make mead, YouTube is a fantastic resource. Google street view, isn’t always ideal, but if you can’t afford a trip to Paris, you can still walk the streets with this tool. For the time travel writer though, the crazy doesn’t end with historical detail so accurate that it brings a tear to your eyes. You have to deal with the word that makes every time travel writer shudder — paradox. Pro Tip: Keep a bottle of Excedrin handy. Time travel headaches are the worst. Obviously, at some point you and your readers have to simply accept certain things, like it’s possible to travel in time. But there are tons of decisions still to be made. Do you keep the timeline unchangeable? If you change it, does all of time change or just a soupçon? Is there a butterfly effect where every change matters or are you going all Sliders (remember that TV show?) where your protagonists are visiting the past/future of a parallel Earth so changes to the timeline don’t matter to them? The only advice I can give, or follow, on this front is, make your rules and be consistent. No one likes retroactive continuity (known by most film and comicbook geeks as retcon) where past events are re-purposed/changed solely to serve a current plot need. I’m looking at you, George Lucas. All right, that wasn’t a time travel retcon, but I’m still bitter. Those are just some of the challenges facing a time travel writer. It’s hard. Heck, all writing is hard, but it’s exciting. I love it. I also secretly think Doctor Who might be real, so take all of this with a grain of salt. Of course, every genre has its challenges. What’s the most challenging part of yours? 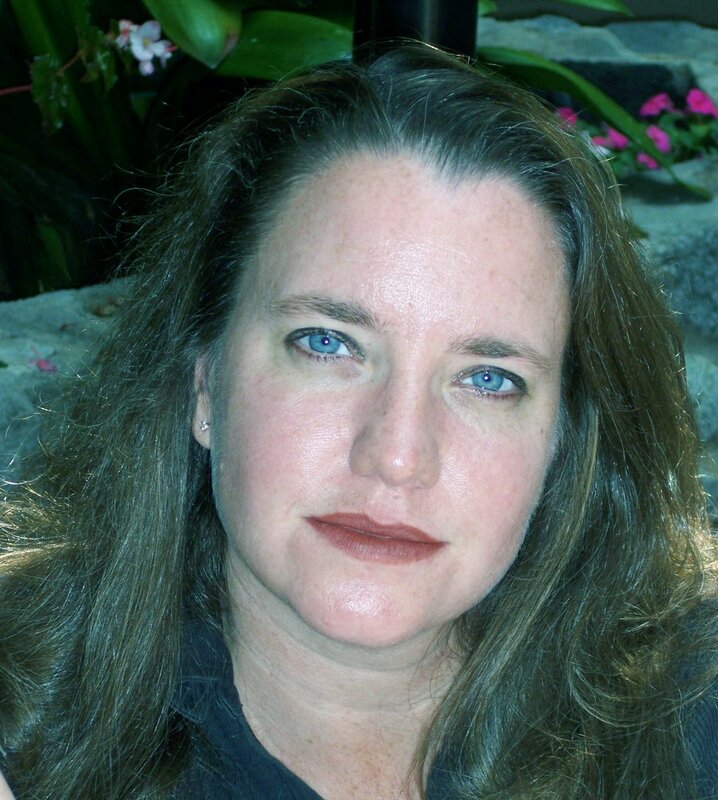 Monique Martin is the author of the Out of Time Series–a mixture of romance, suspense, and a dash of the paranormal. Professor Simon Cross and his assistant Elizabeth West discover a time travel device and the mysterious Council for Temporal Studies. Their adventures back in time — from 1929 NYC to 1852 Natchez, MI — test them and their growing relationship in ways they never could have imagined. With their very lives at risk, they race to solve mysteries in time where the stakes were never higher. How do you promote on Kobo? LOL and thanks, Cidney. Space research is hard too! But fun. I love historical fiction. Richer than history itself. Okay – so even if this series is SUSPICIOUSLY romantic – I’m over halfway through your first book – just hit the point where somebody shot somebody – (no spoilers, please) – and I’m enjoying it immensely. Look – I’m reading this to keep my wife happy. She loved the first book and wants me to read it – even though there isn’t any shotguns, short-fused dynamite or semi-naked women on the cover. I find myself deeply invested in Simon and Elizabeth. The dialogue is lively and the plot twists nicely along. The love scenes require the purchase of a pair of asbestos undies and I’m pretty sure that darned minister is up to something – but I haven’t figured out just what. Yes…much better…I feel manly again. Hee! I love this post, Steve. You’re a good husband. If you’ve survived chapter “sexteen”, you’re good to go. It *is* romantic and short on explosions, but I’m so glad you’re finding the characters compelling. Fwiw, the series gets a little less gooey as it goes along. Thanks so much for reading and please thank your wife for me as well. Time travel is my number one favorite genre of book, with historical fiction being a very close second…I’ve commented in the past about how much I absolutely LOVE your books! So, I knew I would enjoy anything written by you…let me just say you continue to amaze me! In this short article you’ve managed to use one of my all time favorite words (verisimilitude)…reference a show from long ago that I loved (& any time since I’ve ever mentioned it, no one knew what I was talking about…Sliders) & my favorite show, Doctor Who! (that no one I know watches either! ~What’s up with people?~…I loved it when Elizabeth made the comment about Doctor Who! I thought to myself “yes! Someone gets it!”) 🙂 & I too, am fascinated with old Sears catalogs…I KNEW I liked you! I can’t wait for the next book!!! You’re brilliant!!! I adored the first book, downloaded it in the middle of the night during a bout of insomnia thinking, “It’s free, maybe it will put me to sleep.” Still up reading at four in the morning. Thanks for that by the way! Can’t wait to read the second one, and so on, and so on! However, right now I’m reading the Stephen King novel Steve wants me to read in exchange for his reading a time travel romance. That’s my wife, Belinda. She’s the one. She hooked me on this series. I blame her for my addiction. At least the Stephen King novel I gave her didn’t have six freaking sequels – or is it seven??? All joking aside – it’s a great series and anyone who has read down this far on the comment page REALLY needs to pick up the first book and get hooked on it themselves. Most of this though, is only relevant to certain time travel stories. Tales of travel within a small period of time or travel to the future require very little knowledge of history. If the emphasis of the story is actually time travel and not historical romance, then I think it’s more important to establish some kind of (pseudo) scientific basis to the principles involved in your time travel ‘mechanisms’ – There’s nothing more infuriating than a time travel (or other fantasy) story where the author doesn’t have a consistent set of rules in mind and who bends the story line to fit, leaving gaping plot holes and inconsistencies. Hi, Dave! Yes, you’re absolutely right. I focused on the kind of stories I write, but there are oodles of variations and, as you say, some require very little or no historical research. The pseudo-science and rules of the universe are incredibly important and challenging. As you said, consistency is key. Have a system and stick with it. And even then, in spite of your best efforts, if someone tugs a thread, most time travel systems unravel at some point. But you have to try, both philosophically and scientifically (as much as you dare). There are endless questions you can ask yourself when creating a system. It’s fun, but if can make you dizzy. I remember reading a short article about time travel movies and TV shows in the WSJ last year. The last line, a quote from one of the co-creators of Lost, stuck with me. “I wish I could have traveled back in time, and never have done time travel.” 🙂 Of course, I don’t feel that way and I’m sure he doesn’t either. But it is one of those things, the deeper you fall into the rabbit hole, the more complex it becomes. This is a good piece about writing time travel – take a look at Monique’s article on Kobo Writing Life.